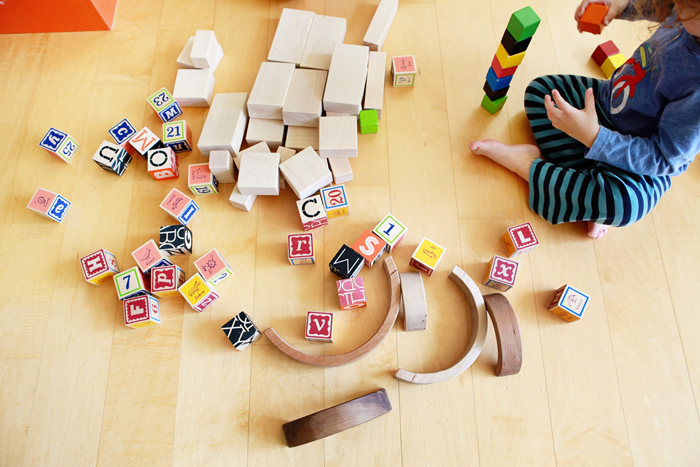 Recent photos of Avery and Nate playing and building together. I jumped in here and there to set up some scenes . 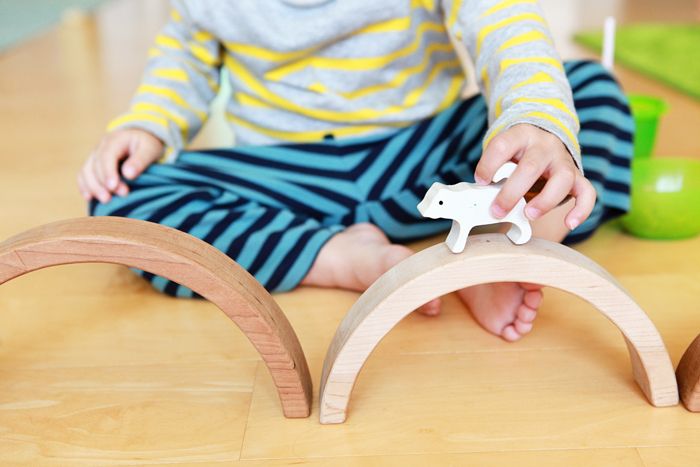 :) Wooden rainbow by Little Sapling Toys, dog by Imagiplay and blocks by The Land of Nod, House Industries and Kid O.